The Petersen Museum’s new exterior. 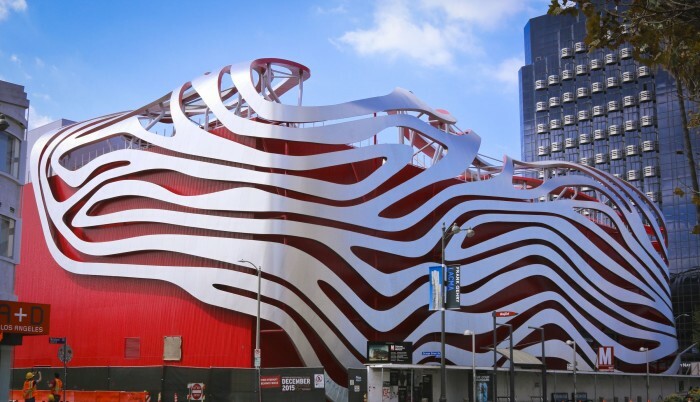 Los Angeles CA – On October 19, 2014, the Petersen Automotive Museum in Los Angeles shut its doors for a radical restyle, the first significant change to the building’s exterior since it opened in 1962 as Seibu, a Japanese department store. At the time of its temporary closure, the museum announced a “hard opening date” of December 1, 2015; now, just over a year since work on the building’s exterior and interior began, the Petersen has published its schedule for the reopening of the facility. 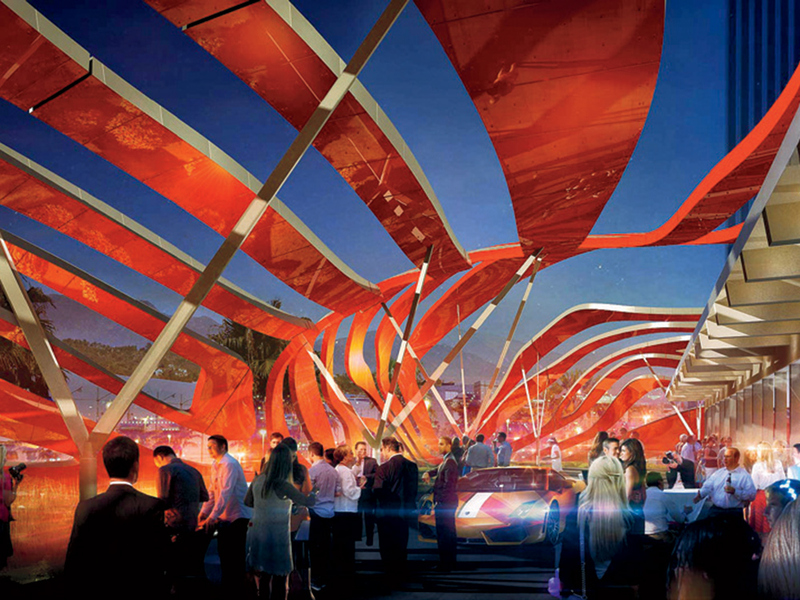 The first chance for the public to see the new facility comes on December 5, with the fund-raising Grand Re-Opening Gala to benefit the non-profit Petersen Museum Foundation. Tickets will start at $1,500, but include a sit-down meal from the Drago brothers, whose string of Los Angeles-area restaurants include Il Pastaio, Il Fornaio, Drago Centro, Osteria Drago and Panzanella Ristorante. 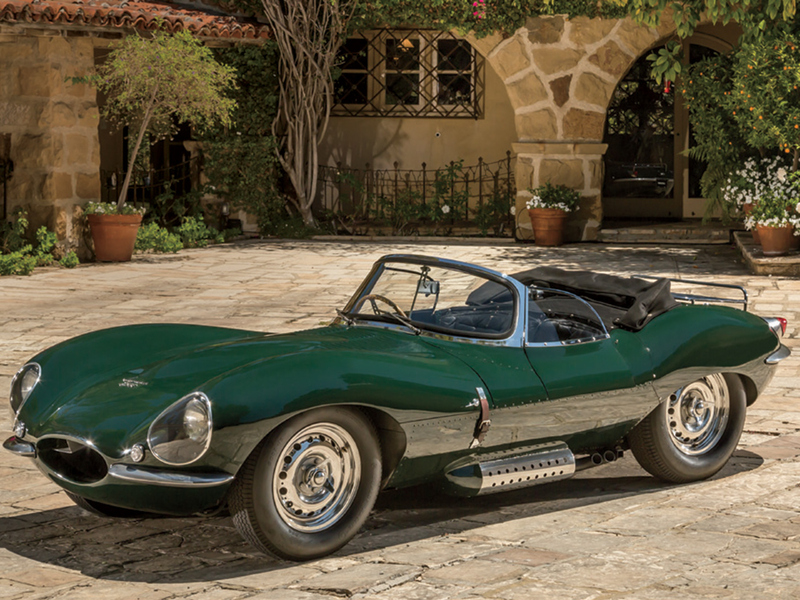 An auction will offer VIP experiences at “some of the world’s greatest car events and auto races,” and the ticket price also includes a tax-deductible contribution to the Petersen Museum Foundation. On December 6, the museum will host Preview Day, a limited-admission event that also includes catering from the Drago brothers, an open bar on the rooftop Connor Pavilion and live music. Visitors will have the ability to tour the museum’s 25 new galleries, and each attendee will be given a gift bag and entered into hourly prize drawings. Tickets for Preview Day are priced at $200. The museum’s daring new design, courtesy of architects Kohn Pedersen Fox, features a flowing, skeletal façade that is inspired by the smooth, alluring curves of automobiles. On December 7, the museum reopens to the general public, with adult tickets priced at $15. Discounts are offered to seniors, students, and children, while active duty military, police, fire, teachers and other museum employees receive free admission. Planned exhibits at the new Petersen include Rolling Sculpture, a look at the role style and design played in the creation of limited production automobiles; Precious Metal, highlighting significant silver cars; BMW & The Art of the Automobile, which will include vehicles from the BMW Art Car collection; and Howlin’: Vehicles from the Nearburg Collection of racing cars. For more information on the soon-to-be reopened museum, visit Petersen.org.